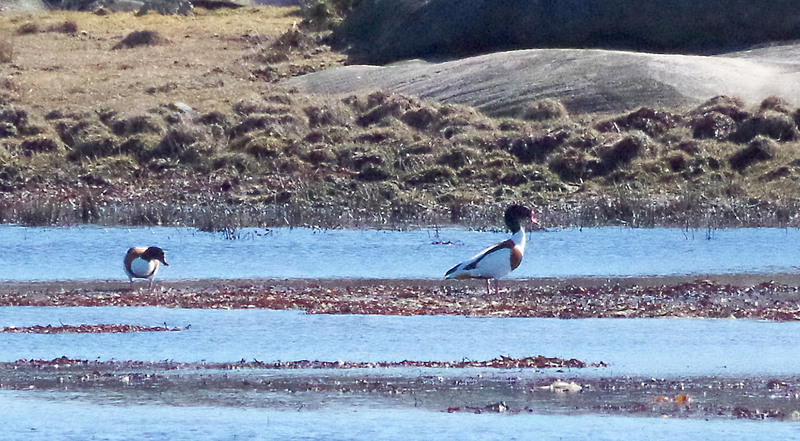 A pair of shelducks courting each other. Haby bukt, Ramsvikslandet nature reserve, on March 25, 2018. Pentax K50, ISO 3200, 300mm, f/13, 1/3200.